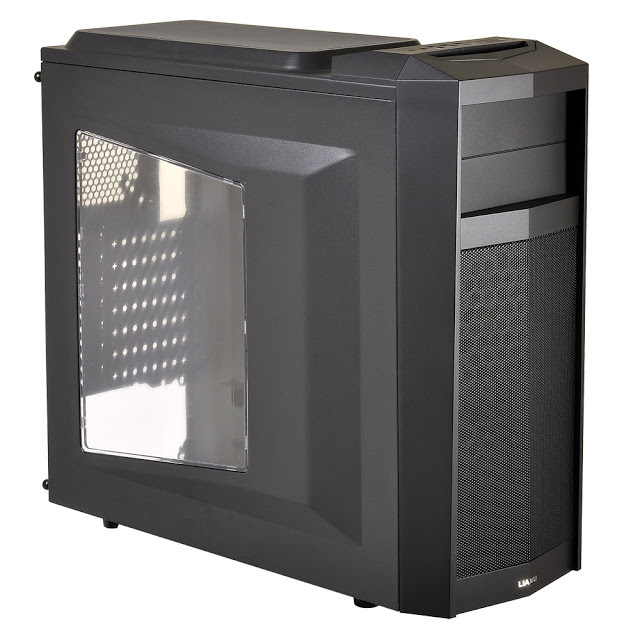 Came across a new case today from Lian-Li (noted maker of PC cases shaped like yachts, trains, desks, buildings, and marine life) – this one was under $130, which is surprisingly-far below their usual price range. I guess this is sort of like Mercedes making cheap FWD hatchbacks as well as S-Class limos – read on to find out if it’s worthy of the Lian-Li name. 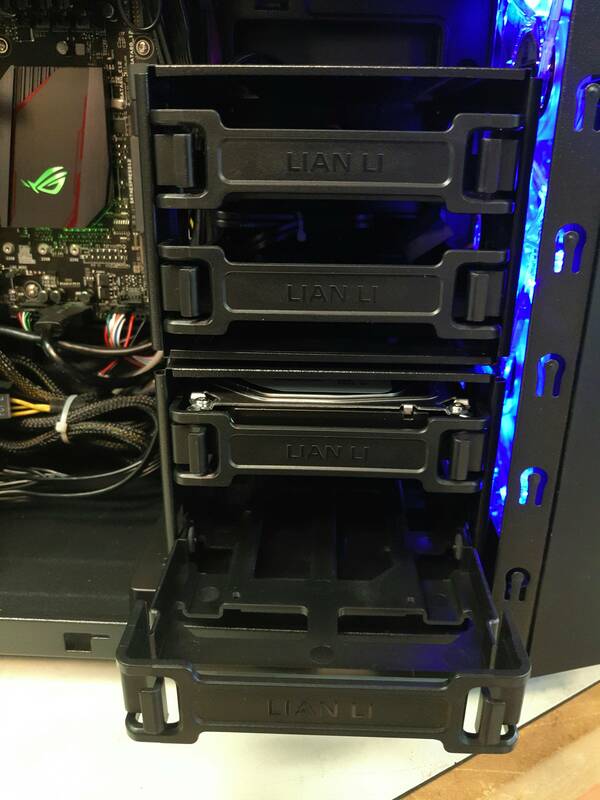 I came across Lian-Li in the mid-’90s when they were a maker of aluminium mobile racks (caddies for putting hard drives from the IDE ATA/33 era into CD ROM Bays). This rack below, for example, has a bit of the Mercedes-grill look about it. Lian-Li decided to give cases a try in the late ’90s, and pioneered the concept of making them out of folded and pressed aluminium, for weight-reduction and coolness reasons. The mobile rack business is long-gone now, but their cases remain as understated, sometimes-quirky, and high-end choices for people with plenty of $$ to throw at a PC. However, as PCs globally declined in popularity in the last 5-6 years, Lian-Li decided to cater for the low-end buyers too, by making a cheap-end case range from steel and plastic, initially under another brand called “Lancool”. This brand didn’t appear set the world on fire, so they are now reverting to making them under the Lian-Li brand, and calling them “Ebonsteel”, to differentiate them from their all-aluminium case range. 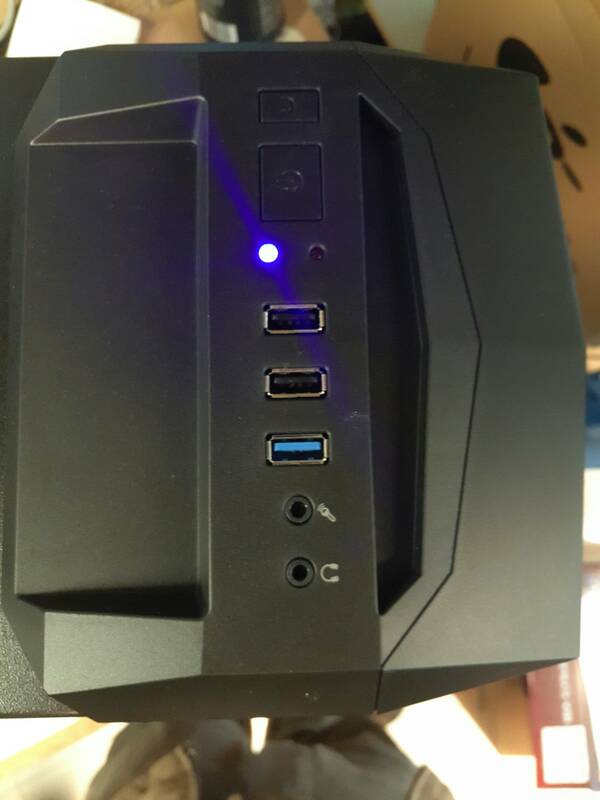 Lian-Li also have some sense to their numbering scheme for the PC-K5WX – PC means it’s a case, K means it’s a steel case, 5 is a size class, W means it has a window, and X means it has a black interior. LL’s own product-shot above is pretty crappy – these cases really need to be pictured with all their glowy LED lights and bays occupied to make them pop – hence the standard ATX-size PC components housed in a PC-K5WX for the shot below. There’s two 12cm blue-LED fans in the front that shine nicely through the mesh, and also give it some underbody street-racer glow on the floor. These fans, plus the single rear black 12cm fan, have 3-pin motherboard-compatible plugs so you can control them from your motherboard. I’ve installed a DVD drive in the top, and a card-reader with USB and other IO ports in the bottom bay. This version of the PC-K5WX comes with a crystal-clear side-window – the non-window one is not imported to Australia. If your motherboard has LEDs on it, such as the Asus Maximus VIII Hero with it’s colour-changing heatsink LED, they’ll be visible. You can just see the rubber feet on the bottom, which stand it off the ground by more than 2cm – this ensures that plenty of air will get drawn to the power-supply air-intake in the floor, which is also going to be a cat/dog hair magnet, so it’s good that they installed a removable filter there. The front is also a filter of sorts, and is smooth enough to let you just run a vacuum-cleaner brush across it to get all the cruft off. 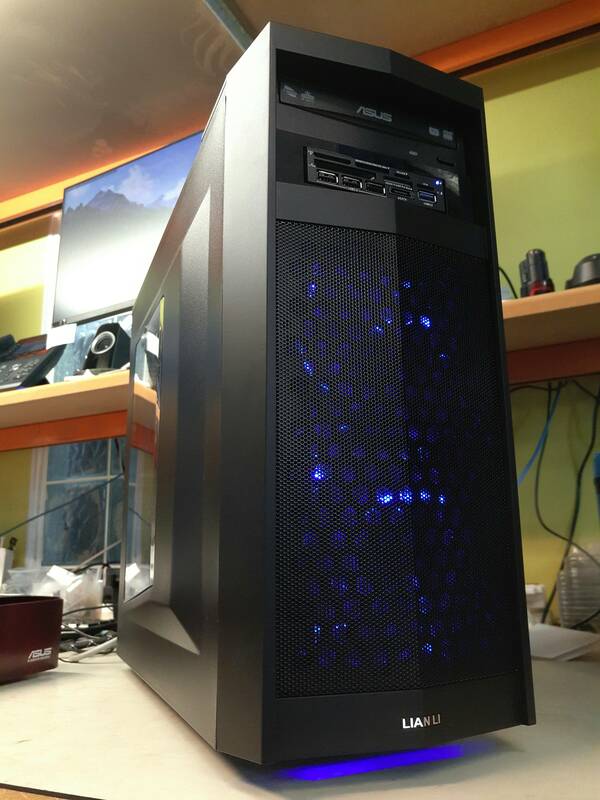 The rear of the PC-K5WX is pretty bog-standard for a PC case: thumbscrews for the doors and rubber pipe outlets for watercooling gear being indicators of it’s gamer-focused nature. The fan hole has a graduated set of screw holes to suit different sizes of fans or radiators. 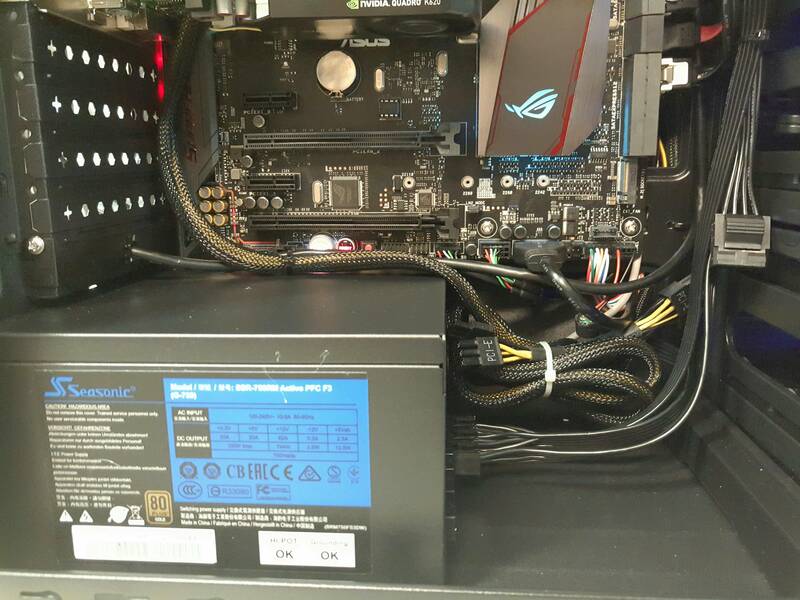 You could mount your power supply either way up, but it makes the most sense to mount it with it’s fan facing the floor to ensure cool intake air gets to it. The top has a bunch of useful ports for USB2, USB3 and HD audio – these all connect to your motherboard pinouts, so no looping to the back IO shield is required. 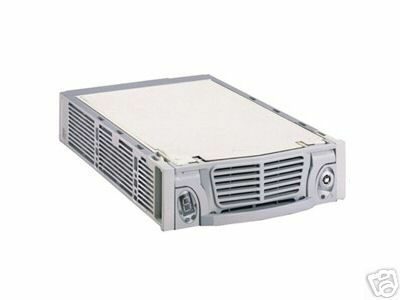 There’s room for four disk drives in the front-bottom of the PC-K5WX – the good things about these are that the clip-in removable trays make for quick installation (no screws required), and you can drop 3.5inch drives into them without needing any retaining screws either. They even include rubber pads on the drive locating pins, so that drive motor whine is damped, very clever. 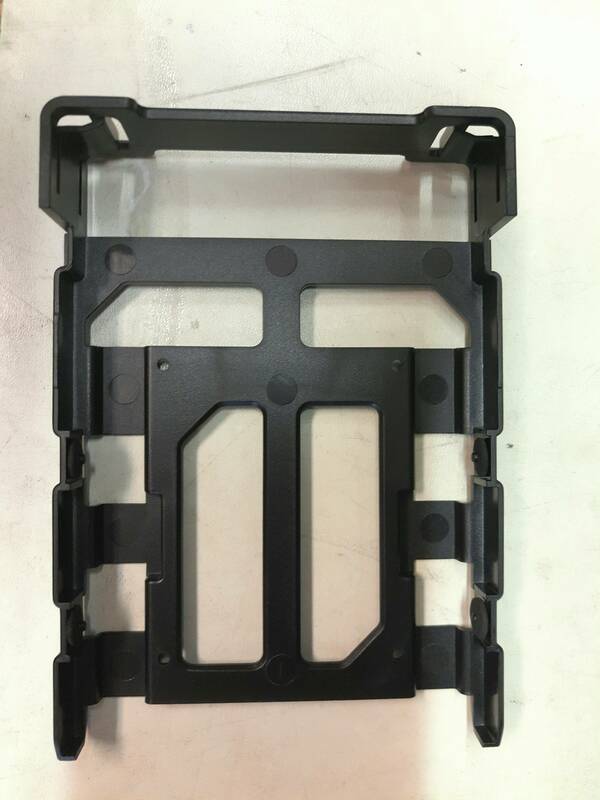 Those four drive trays are housed in two cages – the cages are held in place by four screws each at the back, so if you need more than 25cm depth, eg for a ridiculously-long ePeen video card, you can move them about to create a space up to 40cm deep. There’s a manual at LL’s product page if you want to see how this is done. 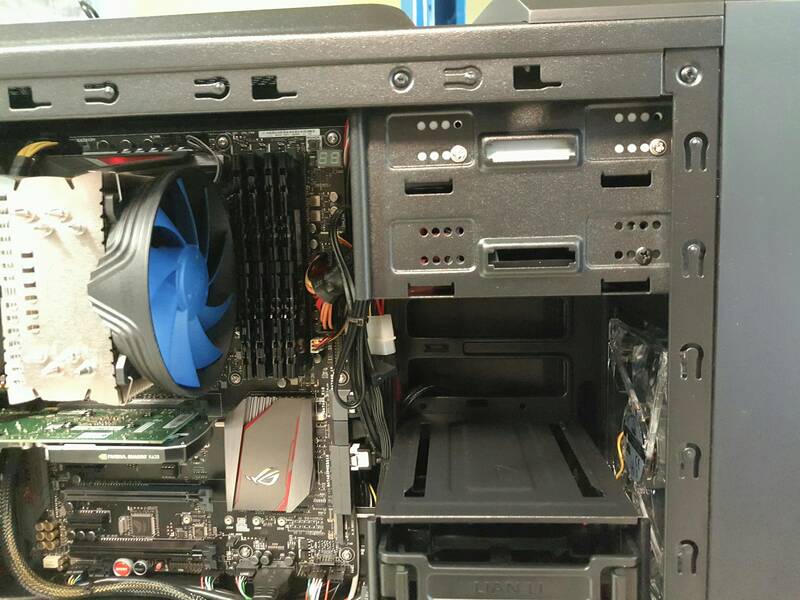 All the drives installed here will be bathed in a steady flow of fresh intake air from the two low-RPM LED fans. And, all four hard drive bays can accept the popular 2.5inch SSD drives with screws from underneath – no need to buy any brackets, as you do with older cases. The downside of all this convenience is that 3.5inch drives are not retained firmly enough to survive the PC being dropped off the back of a truck. If this happens to your PC, you’ll likely find the drives adrift when you open it. It’s probably best to put some foam in between these kinds of drives if you plan on entrusting a built PC to a courier journey across the country. The top two DVD bays have plastic clips to retain their drives, again avoiding screw-work, although you can use screws instead, as we did here. There’s an unimpeded airflow passage in a mostly-straight slightly-diagonal line from the top-front intake fan to the CPU cooling fan, so you can overclock a bit without worrying about airflow constrictions causing overheating issues. 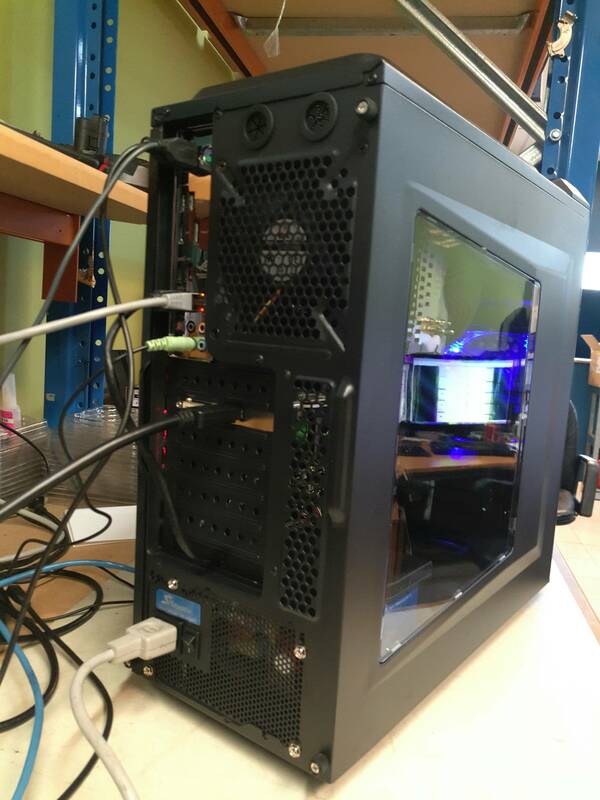 Compared to much more expensive cases, the interior of the PC-K5WX is a little tight, but everything does fit standard ATX-size boards, just. The edges are all rolled smooth, and the entire thing is painted black. 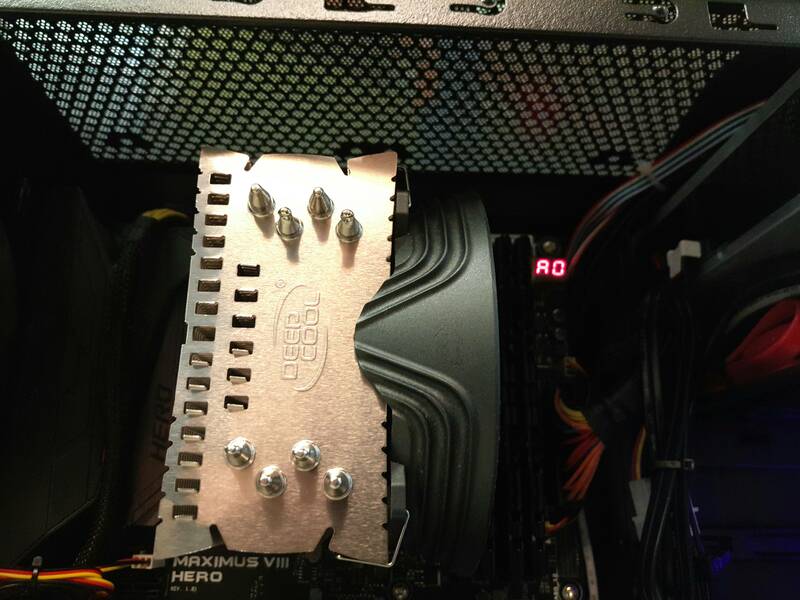 There are small hoops scattered around the motherboard/drive cages area for cable-ties to help secure cables. You can see the red and white SATA cables at the top-right are juuuuuust making the turn at the drive bays, and there is juuuuuuust room for the excess cable bundles from the PSU to live behind the drive cage. There’s room behind the motherboard to guide the power and data cables to the drives, though. Here in the top of the PC-K5WX, you can see the enormous mesh filter above the CPU cooler (up to 16cm-tall coolers will fit) – this is a pretty good way to ensure that the heat rising from any components gets out, and incidentally provides cats with a nice warm spot to snooze on. This area can take two additional 12cm fans, or a double-wide watercooling radiator, but you may have to relegate any DVD drive to the lower DVD bay to ensure there’s sufficient clearance for pipes. The mostly straight airflow pathway from the front-middle of the case to the CPU fan and then out via the rear fan means a reasonable flow of fresh outside air reaches the CPU heatsink and does not get recycled, so low-RPM fans can be used. There’s plenty of competition in the case bottom end – $60-$100 cares abound, although the design and appearance of many is often garish or just plain ugly, and finger-cuts from the cheaper punched-steel ones will still be healing long after their cheaper prices are forgotten. The PC-K5WX sits towards the top-end of the pricing pack, so they do not appear to have tried to cruel the features in order to steal the bottom-price leaderboard. 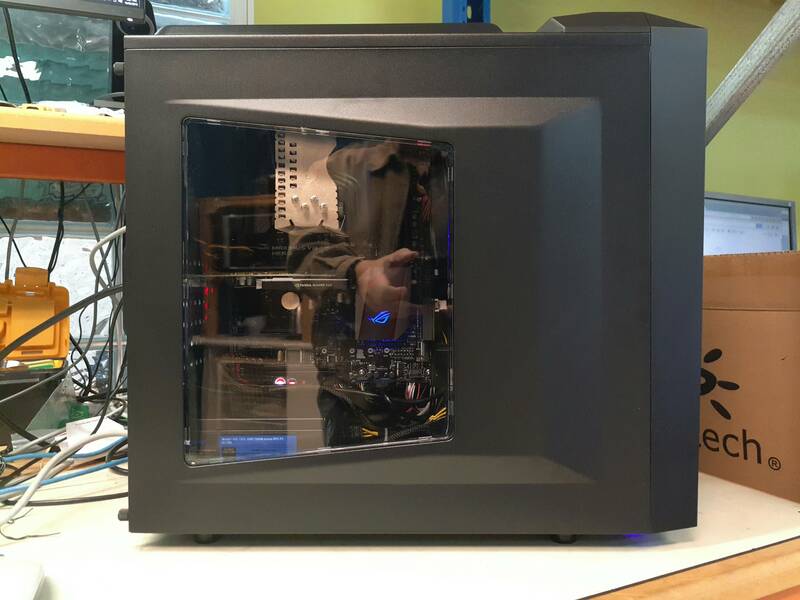 Quality is at least as good as Coolermaster, or Corsair, both makers of decent middle-range cases. You get the brand cachet of a decent case maker, but not the price, of their top-end offerings. Probably best for people who want something decent, and not too flashy, who want to house a gaming or workstation PC without ludicrous video cards. This entry was posted on August 19, 2016, 12:07 pm and is filed under Cases. You can follow any responses to this entry through RSS 2.0. You can leave a response, or trackback from your own site.